Marianne Williamson, a self-help author with no political experience, is running for president on a platform of "spiritual healing." Marianne Williamson's platform of "moral and spiritual healing" certainly sets her apart in the crowded field of presidential hopefuls. The author of 13 self-help books and spiritual friend and counselor to Oprah Winfrey ran for Congress in 2014 and founded an advocacy group for people with HIV/AIDS in 1989. Some of Williamson's platforms include reparations for African Americans and a $15 minimum wage but her characteristic message is less issue-based and more concerned with reparing the American psyche. 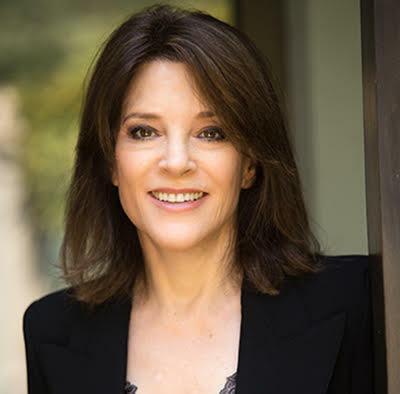 The Exchange will interview Marianne Williamson on Wednesday, April 17th. The show airs, live from 9 to 10 a.m. Exchange@nhpr.org or call 1-800-892-6477.